This sleek crossover band of polished sterling silver yields for your perfect comfort fit. 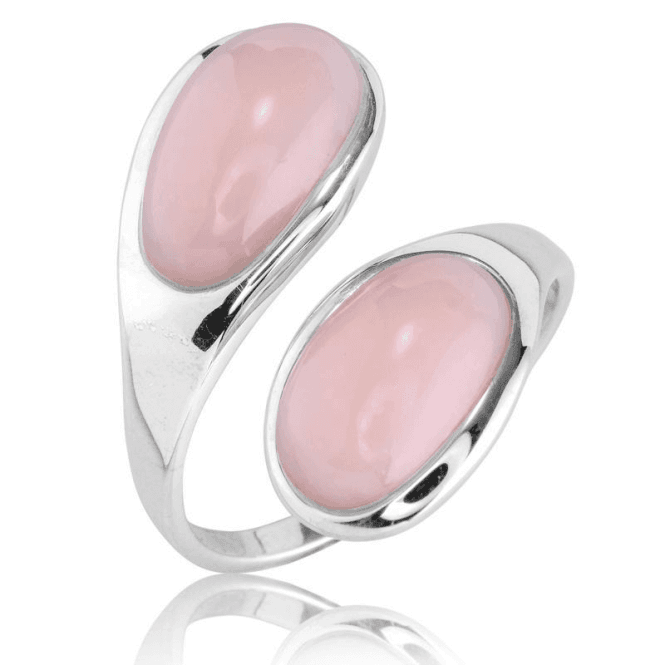 The two cabochons of pink opal then align in a beautifully balanced, jewelled partnership. Design width ¾", pink opals 6½cts.